Riverside University Health System – Behavioral Health (RUHS-BH) is committed to the education and training of students in the helping professions. Our goal is to help students develop into competent, effective and ethical clinicians within the public behavioral health system. RUHS-BH has developed a comprehensive training program to achieve this goal. Students will gain practical, hands-on training and clinical experience from an agency that provides direct services to consumers. It is expected that students will be able to demonstrate basic clinical and professional competencies upon completion of a field placement with this agency. We accept applications from MSW, MFT and PCC students. Our field placements are also known as internships, traineeships and practicum. Students who are interested in policy and administrative placements are also encouraged to apply. Special consideration is given to state Mental Health Stipend recipients. The GIFT Program is designed for students only. If you are a recent graduate seeking supervised experience, please visit our Human Resources website. “Clinical Therapist I” is the title of this department’s entry-level, pre-licensed clinical position. RUHS-BH has clinics throughout Riverside County that participate in student training. Some clinics focus their service on children and families, some serve adults and some serve older adults. There are also programs that serve special populations in need (i.e. very young children). We make an effort to match students with clinics or programs that meet both their interests as well as their educational needs. Typical clinical activities that a student may participate in include behavioral health screenings, psychosocial assessments, diagnosis, treatment planning, individual, group or family therapy, case management, consultation, clinical documentation, crisis intervention and outreach. Policy and administrative students may participate in outreach, project planning and management. Students’ caseloads and assignments are kept small to allow time to focus on skill development. ​​​​Graduate-level students are expected to complete 16-24 hours a week for at least 9 months of training, even if that exceeds academic requirements. MFT traineeships are 12 months (August-August). Students are in placement at least 2- 2 ½ days a week. If selected, students will be required to attend mandatory pre-practicum orientation and training prior to starting their practicum. SUPERVISION Students will be provided weekly, individual supervision with a qualified behavioral health professional. Where possible, students will also be offered group supervision opportunities. 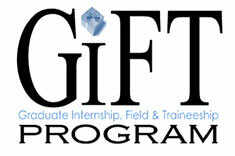 The GIFT Program provides excellent student trainings in support of the student learning experience. Trainings on psychosocial assessment, DSM 5, risk assessment and documentation are offered early in placement. Additional training opportunities are offered to enhance students’ clinical skills, professional development and cultural sensitivity. Students are encouraged to attend additional department sponsored trainings to enrich their learning experience. The department is open Mondays-Thursdays, 8:00 AM to 5:30 PM and Fridays 8:00 AM to 4:30 PM. Typically, graduate-level students are expected to complete 16-24 hours a week for at least 9 months. MFT traineeships are 12 months. Currently, field practicum is voluntary and unpaid. Click below to begin the GIFT Program Application process. Please submit the application, along with your résumé, to GIFTProgram@rcmhd.org. If you are identified as a potential candidate, you may be invited to interview with the department for possible placement. If you have additional questions regarding the GIFT Program, please contact GIFT Program staff at GIFTProgram@rcmhd.org.